...what was your FAVORITE new line at the show??? Love your report! I started quilting because of Amy Butler fabrics too. What quilt do you have planned next? What is your favorite thing about living in North Carolina? Question... If you could have an unlimited supply of just one fabric print, which would it be?? Thank you for sharing your experience in MSP. How do you come up with your designs? They seem so fresh and new to me. I would like to know how old you were when you first wanted to sew something and what it was? Wow! I can feel the excitement and fun of market through your words. I'm jealous but glad you were able to go and report back. I'll keep my fingers crossed for ya on Houston. What a great giveaway and I'm jealous you got to go to market and meet all those fabric-famous people! My question is at what age you found an interest in sewing and how did it come about? I don't know any questions :( But thank you for quilting, I've used you and Joel Dewberry both as support when coworkers tell me it's so repressive and patriarchal subjugation and all that for me to sew things. And I'm teaching my husband, too! Here's a question: are you teaching your kids to quilt? Does your wife quilt? if you ever get a chance to watch tv, what's your favorite program? Would you like me to do some lighting magic on your Amy Butler picture for you? I'd be happy to if you want to shoot me an email! :) It's what I do all. day. long. Nice post. I still need to blog about Market, too. You're not the only one lagging behind . . . I can't wait to see the Verna and Fandango projects. Thanks for sharing the perspective of a first timer at market. I hope I can go to a market someday. Good luck with the house stuff. Ooh-I'd love some candy bars! My question - Hmmmm - What does your wife think about you traipsing around with all these beautiful women? Great giveaway! I have a question, how do you find time to sew with THREE little ones running around? I have just one and I barely get any time! I'd love me some candy bars! Now we hear alot about various DHs and SOs when us women go on fabric sprees. Does your wife heckle you in the same way? O my - those candy bars are adorable! I'm a relatively new follower of your blog but have thoroughly enjoyed going back and looking through previous posts to "catch up." As the proud mama of two wee ones (2 and 4) I have to ask: how do you find/create time to balance work and play? I find it a constant struggle and am in awe of people like you who seem to be uber-productive in their quilting/sewing life as well as having a family, job, and responsibilities beyond the sewing machine. Great giveaway. So why did you start quilting? What drew you to this hobby? Thanks for the give a way!! Do you plan on doing a fabric line? Q: If you could design your own collection of fabric, what would be your theme? Nice report. I want all your books now! Great post - thanks! What's your "desert island" album (CD, mp3s, whatever - hey, I'm old, okay?)? I love your blog! I try to get my husband involved in my quilting/sewing but it hasn't really stuck. So my question to you: Do your guy friends know that you sew/quilt? Okay, so there is one question I have been wondering about for quite some time: how do you manage everything. I mean, being a parent is hard, working at the same time is harder, but then you are quilting and blogging about it and I don't suppose that you let your wife do everything on her own around the house. Do you not sleep at night (because that would totally explain it)? Do you have some organization secret or maybe you can quilt, cut, sew, iron, read to your kids, and do household chores at the same time? I would really really like to know! Hi John... Looks like you really had a blast at Market, your pics are fabulous & i've enjoyed wading through them. As a mum of 2yr old twins I'd like to know how you manage to quilt so much with your 3 little 'uns... ? well thanks for the chance to win one of these goodies. I have to say you and Joel Dewberry look like you could be brothers I almost thought it was you holding the pillow at first. So how did you first get introduced to moda bake shop? Did you submit a design or did they come find you? Just ask Julie, I like to know how the people who's blogs I read daily got their start. I'm interested in these candy bars. Out of all the Market reviews Ive read, this is teh first I've heard about it. My question is: How do you find time to quilt, when do you quilt, and how many hours a week do you think you spend quilting? I have 3 little ones and I'm just starting to get into this fun hobby, but I need to find some sort of balance. Anyway, I enjoy your blog and your work. Thanks for sharing. Quilt Market sounds like heaven! I'd be standing there with my mouth open staring at all the people I read about in blogland. If you need someone to carry your bags next time, let me know. I'm positive I can arrainge my schedule and be available. Hey, maybe I should try to hire myself out to someone........that would be one way to get there!! OOooooooh!!! You make me want to go to market. Is it open to anyone (like a quilt show) or do you need an 'in'? I think you met most of my 'quilt heros'. So cool! Thanks for all the pictures, feel free to post more. Those are great giveaways! Thanks for the opportunity. 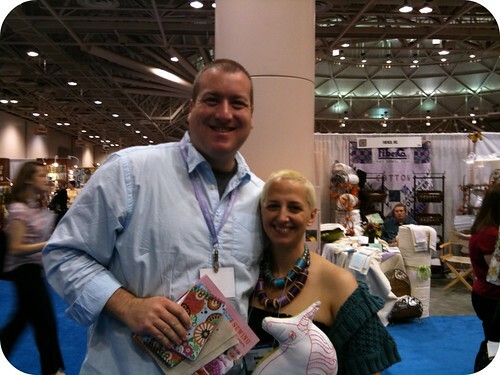 My question is this, what does your wife think of your blogging and quilting? Does she tease you about your blog (like my husband teases me?--I think he "gets" it but enjoyes the teasing). Thanks for the giveaway! Finally a candy bar that won't add to my waistline. 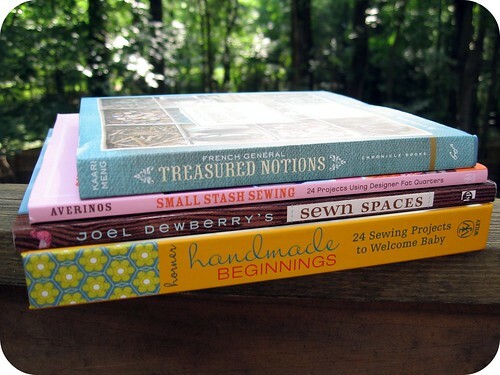 :) I haven't been following your blog long and I was just curious on how you got started quilting? Great post and great giveaways! My question is, on average how much time do you spend sewing per day? Is there a day in particular that is your "sewing day"? Sundays are my sewing day. Its the one day of the week that I can pretty much have to myself for sewing. So how about something quilting related- thread. What type do you prefer to use? Do you stick with neutral colors or try to be matchy matchy with other colors? How old were you when you learned to sew? Were you always interested in sewing or is it something that just appealed to you in the last few years? Wow, those candy bars look like fun! How do you find the time to do it all? I'm struggling with working full-time, getting a second master's degree (FT too), training for a marathon while raising $3500 for charity and the other committments in my life. And I don't have kids like you do. The market would be like fabric Heaven. I sure would like some candy bars. Yummy fabric to make into yummy quilts. absolutely love it. I would LOVE to have some Candy Bars.....some of fabric, too!!! My question - does your wife sew?? Holy junk, majorly jealous over all the sights you got to see and people you got to meet! What a great market recap. I love reading them and pretending I am there right along with you. Question: how many hours a week do you spend doing quilt-y things? I LOVE candy! So, definitely enter me. 1)Are you constantly thinking of quilting, new projects, new fabric and do you have a healthy fabric addiction? 2) How do men react when they learn you are a quilter? What an experience you had! YAY for you! I love candy bars...and the fabric ones are better for me! ha! Thanks for sharing! what's your favorite quilt you've ever made? Well, you may be slow on the take when it comes to posting about market, but you get the award for being the first to tell me about candy bars! I've been a bit distant with technology since school got out so I haven't seen these cute little bits of fabric, but I love them!! So yesterday I bought everything I need to start my first quilt... Much like you were inspired by Amy Butler to start quilting, I was inspired by you! So thanks a bunch! I really appreciate it :D and I look forward to seeing many more of your fantabulous creations! Did you miss anything you really wanted to see? Okay... so, I knew that Kari got you in... HOW? you ask. Well, I ran into her at the local quilt shop and asked her how things were going. 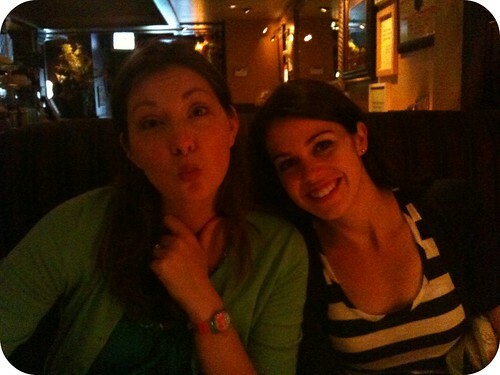 She tells me she roomed with Jaybird (love her blog) and then I started rambling off others I follow. I asked if she ran into quilt dad - yep! Then she told me how she scored you a pass. How lucky!! Well, it's a small world after all. I have known Kari since she worked at the local shop and lives within 10 miles of me NOW... I'll live closer to you in a few weeks. I'm moving back to SC. So, maybe I'll run into you back east. You'll have to give me the scoop on things in the Carolinas. I do love to follow your blog... keep the post a comin'. I really want to know what all your guys friends said when they found out their very tall and strapping football-player-looking guy friend said that he likes to quilt. oh what a cool giveaway! I am new to quilting so my question to you is how do you decide what fabrics to use together or what quilt pattern would look good with your fabrics, I find myself getting paralyzed with indecision. Thanks! You're not the "average" dad (in a good way). What qualities of yours do you hope will rub off on your kids? Oh ... and again ... Mmmmmmm candy!!!! How I envy you. What requirements do you have to have to go to these shows? I LOVE candy bars and these I can have as they have no calories!!! 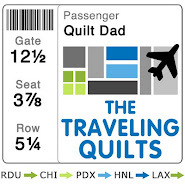 What do your kids think of their quilting dad? Love the new candy bars! Thanks for taking us on your market adventure. What's the one quilty tool that you can't live without? I'm always intrigued by the tools that others are using anything to make things easier. Yum!! Finally a candy bar that won't go to my hips!! I would LOVE to win one!! Thanks so much for the chance to win! Your Questions- At what age did you start quilting? Did you take a Home Economics class? How did you start sewing? I know that's more than one...but they are really interrelated...sort of!! Sweet recap thanks for sharing - so going with the candy bar theme - what's your favorite candy bar? I'm a dove dark girl! Thanks for the chance. What is your first sewing/quilting project you ever completed? And......do you have a picture of it you could share? Loved your report! It sounds like it was all loads of fun! Thanks for the chance~ candy bars! LOL Great name! how many quilts have you made up to date? and how many have you kept? great market post by the way! That sounds sooo fun! What was your favorite new line of fabric coming out? What's your biggest continued inspiration? Fabric? That's what does it for me. I see fabric I love and have to buy it. quilting question...when piecing strips for a border do you sew them straight across seam or on the diagonal? Thanks for the market report! Makes me jealous - as usual! Quilting question: bias binding or straight of grain? Thanks for a great tour of Market. Many of those pictures, quilts and people I have not seen elsewhere. I would love, love to win some candy bars...thank you for sharing. Thanks for your interesting report - looks like lots of fun! Enjoy your giveaway - and count me in! 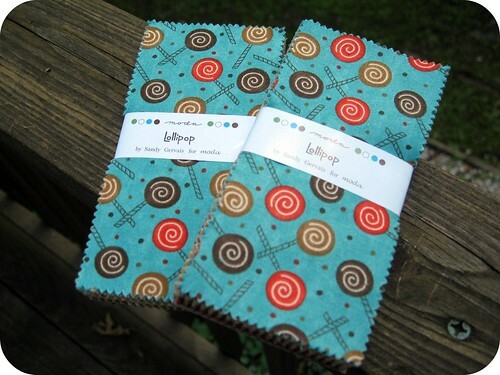 Two great fabric choices and in candy bar form. I hadn't heard of this before so thank you for sharing these as well as your super, fantastic market experience. Do you stock pile fabrics, or does everything have a purpose when it comes home with you? Thanks for the chance to win one of these lovely candy bars. Beyond the fabrics themselves (like that isn't enough!) what other things inspire you to make quilts? Enjoyed your market report. Are you a native North Carolinian or a transplant? How in the world do you find time to do everything you do? Are you tired all the time? What a fun post to read! Those candy bars may be even more delicious than my all time favorite real candy bar Snickers! And fat free too! 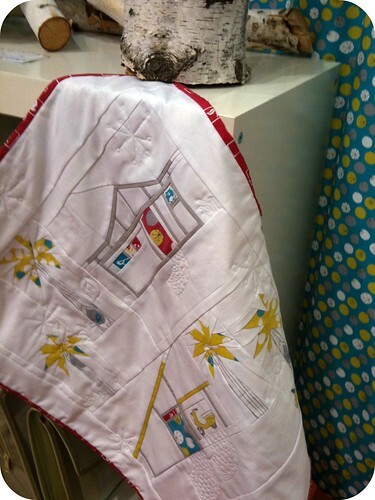 What is your favorite kind of quilt to make, such as baby quilt, full size bed quilt, wall hanging? What a great post. Makes all of my visits to your blog waiting for an update worth it! My question is: What would YOU make with the candy bars? Fun giveaway! What kind of reaction do you get from people (non-quilters) when you tell them you are a quilter? I'm not reading any others, so this might have already been asked. What went wrong with the house sale? Very disappointing. I love CANDY!!! Thanks for the chance to get some!! What sewing machine do you use? What's your dream machine? what kind of fun quilt-related events/shows are there in NC? I'm in Winston-Salem! I love that mini-quilt. Lovely fabrics too. It sounds like you had lots of fun. Great giveaway! I think this is a fun size & am looking forward to creating some projects with some candy bars (especially these!) I would like to know what is your favorite quilt that you've created & why? Nice giveaway!!! Love the candy bars - could make some great stuff with those! The candy bars are awesome! What a fun idea. Hmmm... I want to know what quilting project you're too nervous to start, for whatever reason. Market must be amazing. Do you think I should go next year? Thanks for the generous giveaway. My question - are you originally from Cary? I was there once for a SAS class and thought it would be a lovely place to live. I just love how they name all the precuts after desserts! I'm sure I will love these new candy bars too! 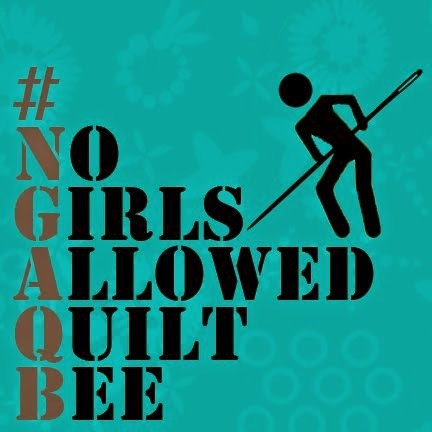 What has been your favorite response to, "You quilt, but you're a guy?" Thanks for the great review. So I'm just curious how your wife feels about you hanging with all these women? What a thrill to get to meet and hang out with all these wonderfully inspiring people at Market! I'm so happy to read about your opportunities. I have not made anything using candy bar packs yet; have you? Again, not throwing my name in the hat, but I just wanted to say... hey look, there's me (three times)! I had such a blast with you John - I can't think of anyone better to have hung out with at my first Market (and Jennifer too of course) - so much "newbie" fun! I'm in the same boat as you for Houston, but I'm sure going to try my hardest to get there! I'm sure you've answered this before, but how did you get into quilting. Not related to the quilt show, but I'm curious. What do you miss most about New York? What is your best new quilter tip? Oooh...I like candy bars...especially ones named Happy!!!! ;) how fun! Big post! I ain't playin' about the T-shirts. I've almost got the graphic figured out...brace yourself. What's your favorite (edible) candy bar? I loved reading your market report! For some reason I had no idea you were so tall! No wonder you do most of your work by machine -- getting a tiny needle into big hands is a challenge (can be done, tho--saw John Flynn sewing with a #10 Between once:). Would love to win those candy bars! Ok Here is my question.....do you think of yourself as a modern quilter or just a quilter? I hadn't heard of the candy bars yet. Do you have any ideas of what you would use them for? Great market post! Looks like a total blast. OK, my question, since quilt market is just for those in the quilt business: How does one begin to transition from quilt-love as a hobby to quilt-love as a business? Thanks for the rockin' giveaway! John, You came all the way to Minneapolis and you didn't stop to see me? (just kidding!) Although it would have been a treat to meet you. I'm glad you had fun, aren't quilters the sweetest people! 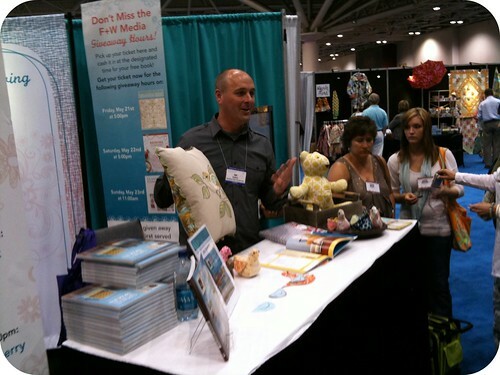 How ever did you get a chance to go to quilt market? What a outstanding opportunity. 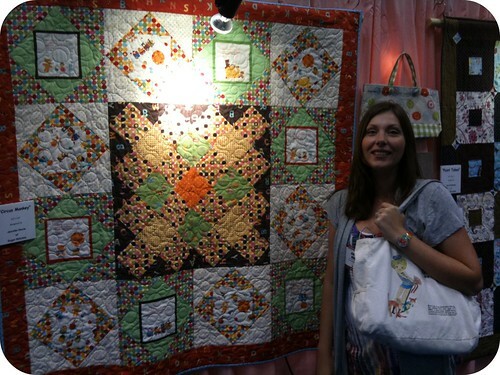 Wow, I wish I could one day go to Quilt Market as well! It looks like a ton of fun...so neat to meet all the cyber people in real life! Did you finally sell you home or did it really fizzle? Sounds like great fun. And those candy bars are so cute! Thanks for sharing! Wow we don't have anything like that here in Australia but I hope to make it to Houston or Paducah one day. My questions would be which one would YOU prefer out of Houston or Paducah, even if you have never been. Great post, thanks for sharing your adventure. My question? I have so many really, but I'll start with how did you learn to sew, and why did you learn? oh so many good questions, and what a cool pre-cut! despite my best efforts, my dog always manages to get her nose into my scrap bin, so I find little bits of fabric all over the house! Wow!!! Looks like you had a great time at market! I'm jealous! :) Someday I will get there!! Ok, my question for you. It's a toughie. Are you ready? The Minnesota Experience sounds like beyond a blast! I'd love to win some of Sandy's candy bars, thanks. Question: how many women did you get to hug in Minnesota (LOL)? What is the meaning of life? Why is machine quilting so trying? Why is Spring so late this year? :)) Thanks for the giveaway! oh how i love market! I've only been to the Houston one...but that's only because I grew up there and have been going since I was like 2!! Love all the photos! Great giveaway!! What a great post! Sounds like you had a blast. What length do you generally buy your fabric in? yards? half yards? are you a sucker for fat quarters? How do you decide what fabrics you are going to purchase? Do you have a project and purchase for the project or purchase fabric and then decide what design you will use it in? If you are not purchasing for a particular design, how much fabric do you usually purchase? Do you generally purchase each fabric in a line or just the ones that you like? Sorry for all the questions -- can you tell that I am an attorney?! Was so glad to see your post tonight -- you've been missed! What type of machine do you use to make all of your quilts? Sounds like you had a great time at market. I like Sew Loving's question -- where is spring? No different up here in Canada - cold, wet, damp - when is summer coming? Good to see a man quilting! 6'4"? Is your whole family that tall? 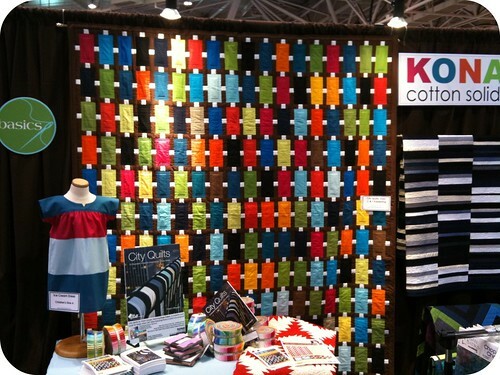 Thanks for the wonderful excerpt of quilt market! What are you going to make with the candy bars? What is your favorite part of the quilting process? Which quilt was the most emotional for you? I was wondering how many quilts you have made. What a great giveaway !! is fantastic you got to the market! I hope be there some day and my bad english don't be a problem to meet people! My question is what is your dreaming sewing machine? thanks for the chance and gretings from México! I have had my eyes on 'Happy' for a couple months since I saw a sneak peek. I'd love to give a home to those candy bars! My question...How do people react when they find out you quilt? I had a guy friend who quilted, but didn't really tell people due to reactions from others. Would be interested to hear about your experience with it. What a fun giveaway! I'd love to win one of the candy bar sets! Who taught you to sew... and how many quilts have you made/designed? What a great give away, candy bars that don't put weight on. My question is; Does your wife do any quilting? Those candy bars look fun . . . I'm already planning a quilt. Thanks for the chance. Wish you had time to blog more. Busy life going on over there. What is your least favorite color and why? Seeing pictures and reading about your adventure makes me wish I could have been there with my credit card handy. Looks like you had a lot of fun at market! Hugs from Synnoeve in Norway. Oh I want the candy bars!!! ohh what kind of designs you could make with them!!! Ahhhhh This will be awesome!!! Lets see a question for you....hmmmm is your wife jealous of our crafty abilities?? or does she just love it??? Or like me her feelings change by day?? I mean come on we are women! Wow I wish I was there... but I live in the other side of the world!! love the "if a charm pack and a jelly roll had a baby" hehehe... sounds like a joke. I love the fun blocks your make. How long did you quilt before you started to develop your own style? Do your kids quilt too? Have they expressed an interest? My 5yo daughter wants SO badly to learn to sew, and I've let her "make" a few pillowcases and things. I'm so excited that this could be something we could share over the years! Do you have many UFO's or do you finish everything you start? Thanks so much for all your sharing! It was very interesting to read! I would like to know what is your biggest inspiration for creating a quilt. Have a great time and thanks for sharing those absolutely great candy bars! Thanks for the quilt market post and the giveaway! What made you decide to start blogging? Awesome post. My question is what is your all time favorite quilt that you have made? You believe that your work is fully rewarded? I love the new candy bars. What a fun idea! So does the whole family sew? I know you said your wife does but have you guys started letting the little ones in on it. How cute are those candy bars!? I love the name too! Speaking of sweets.... what is your favorite dessert? Pies and brownies reign supreme in our house! :) Thanks for the giveaway! 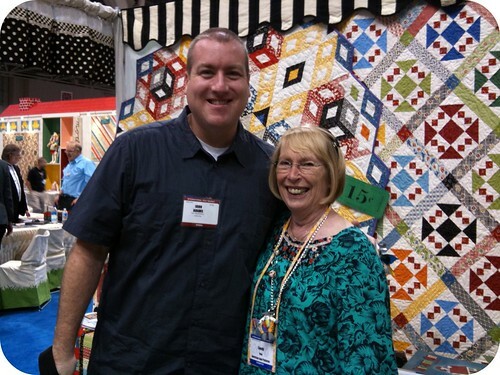 Thanks for sharing about quilt market, I'm fairly new to quilting and have become a big fan of your blog and I can't seem to get enough of quilting blogs right now- so much to see and learn! Boy, I had to do a double take when you started talking about charms and jellies having babies! How did you "come" out to all your guy friends about your becoming a quilter? I'm pretty sure you will be in Houston as well this Fall! Looks like so much fun. :) Love these candy bars (I wonder what's next? ), a stacked coins quilt would be nice with these! Wow it looks like you had a great time. I am very jealous. Thanks for a great giveaway. They look perfect for a coin quilt. Thank you for your lovely trip through the market! My question: doesn't it sometimes feel strange, to be amongst all those woman during such a market and do they treat you like an equal or with more respect? Question I have is do you press your seams open or to one side? I love tghe size of those Candy Bars! I'm sure I could make something fun with them. What is your most favourite range of all time and why? I wish I could go to the Market one day, but it is a really long way from Germany ( and probably way too expensive for me). My question is: Do you ever get mocked by your male friends for sewing and quilting? I hope not because it is really cool! 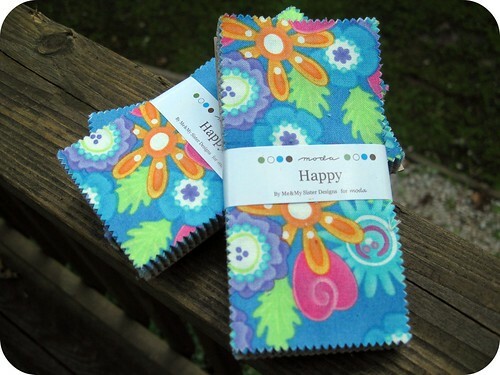 These new "Candy Bars" by Moda are so cool! They are always so innovative. I would love to add these to my stash...Thanks. Love those new candy bars. And my question is: would you mind helping me put away the shopping - I've done a huge shop as we have all the usuals in our house plus the in-laws this weekend. I'm supposed to be putting it away now but I got sidetracked by the computer and the pincushion I'm making for the Flickr scrappy pincushion swap. So if you have a moment to help unpack the shopping, that would be great! I'd love to add these candy bars - no calories! Sounds like a great time at market. Thanks for sharing. Yummy! I'm in. I also want to know where you find the time, but that's been asked, so: what do you like to read? I don't know how you find the time to quilt, let alone blog, while working full time and raising three kids! I guess that's my question. Bravo to you for your energy and creativity. Count me in for the giveaway. My Question: Would you share pictures of your crafting areas with us? I'm always fascinated by how other people do their craft areas. Probably because mine are in totally separate areas of my house LOL.! And I'm with Margaret. I'm a stay at home mom with 4-6 depending on the day and *I* rarely have time to quilt! Sorry about the sale of your house falling through! Big bummer. Market looks like a blast. What is your day job? You mention it often, but I wonder what field you work in. My question: Any more kids in the future for you and your wife? Or is 3 enough? Looks like you had a blast! What's your favorite food? What a fantastic post - you really do inspire. I've only recently started my first quilt top, and I'm hooked, but I just can't seem to find the time. How on earth do you fit it in? Do you just quilt - I guess I sew other things as well, so maybe that doesn't help. But fitting it in around the children (I have three) is hard. Found you via Melissa on Twitter. Lovely to read about you meeting. Wow! you've had so much of fun! Love & hope to win. Favorite fabric line ever -- or within the last few years? What do you have a huge stash of that you will be sad about when it's gone? Thank you for the giveaway--I haven't seen candy bars before--I guess I need to get out more. Hum.....question....if you were a quilt block--which one would you be? i'm SO glad you took the plunge. and if you don't do fall, SLC fo sho. we will meet one of these days. I would like to know where you get your inspiration for the things that you make? I am often drawn to the bold fabrics but the things I make often seem to busy when finished. How do you deal with large scale motifs, while still preserving the beauty of the design? Me & My sister make the most wonderful designs. I would love to win the their candy bars. Tell me what inspiration will you be using for your next quilt? Hope life gets to a point where you can post more regularly. . .miss your posts. You previously mentioned about a "new member" (or some such wording) that you would reveal shortly. . . but I haven't seen any further mention. Thank you for sharing your Market view! It was great to read all about it. No questions right now. It's Friday and my brain isn't working to its fullest. LOL! I am so jealous of you. After previewing the upcoming fabric at market, if you could only purchase one line of the upcoming fabric, which one would you choose? I love the candy bars, please I want to be the winner!! Thanks so much for the giveaway, loving the candy bars ;) hopeful I will win!! When creating your quilt how do you decide on the fabric choice? I'm a new quilter and there are so many fabulous fabrics to choose from I get overwhelmed trying to decide what to fabric to use. what quilt that you have made is your favorite and why? 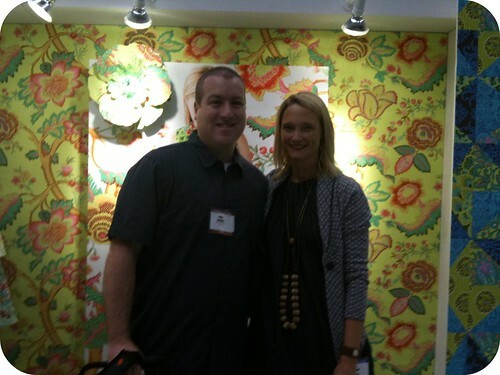 Great meeting you at quilt market!!!! What was the most prized thing that you picked up at quilt market. I always have one item that I get at a quilt show that I just love, what is your item. Sounds like you had an incredible time. You'll always remember your first visit to the Mall! looks like a very fun time! How tall is your wife? I love the new pre-cut. I have been asking a few crafters this question - how do you find the time to do crafting in the busyness of life and work. Lately I have not getting any finishes even though I have a few waiting to be binded, basted, to be cut. Oh my goodness, it looks like you had an absolutely wonderful time. 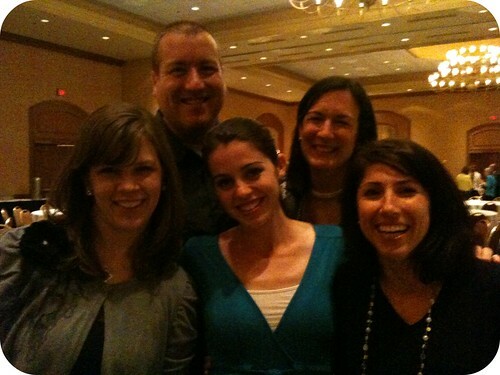 Isn't it great to meet so many wonderful people? How long does it usually take you to finish a medium size quilt? THANKS FOR THE MARKET PHOTOS! Wow, I think my market trip was much more WORK than your's! ;-> Don't get me wrong, I had a blast, but didn't spend or party quite as much as you did! Never sewed a stitch in my life - how would I get started quilting? Ya'll have intrigued me! I love the quilt market posts no matter when they get posted! Everyone's got a slightly different take and had a different experience, so I love hearing them all! My question: how did you get in? I'd love to go some day, but I thought you had to have a shop or be a manufacturer. Do tell!! Those lollipops are great! What's the one fabric that you keep coming back to in your stash? I have a brown diamond pattern that I use a lot that I love. It pops up in a lot of my projects as a neutral/ accent. I totally wish I were you right now! 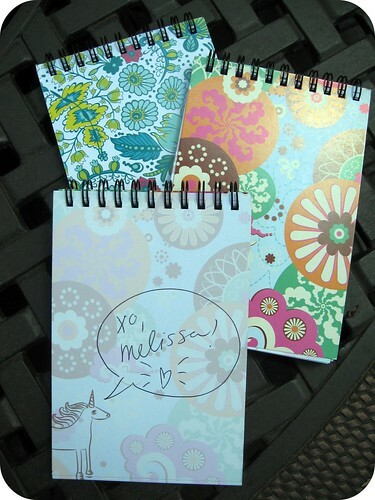 I think I would've been totally starstruck to meet all the designers whose fabric I adore. What a fun time! Where do you see your quilting in the future? Will you still just be having fun with it, or will you be designing fabric or writing books? I've just found you! 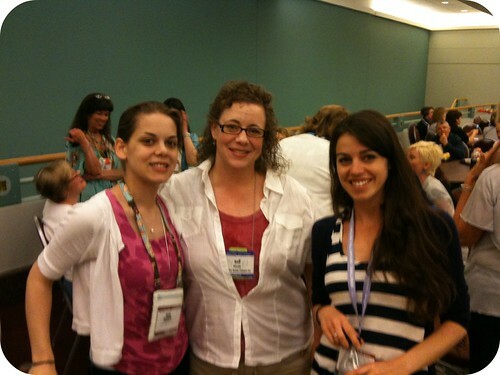 Your blogs are really exciting & I'll be visiting often! Lovely give-away. It'll probably be some time before we see them in England. I tried to think of a profound question but can't. What I am wondering is...Is your wife a quilter too? I've tried to find out from your profile etc but must have missed it somehow? It was actually nice to see a 'post' post and refresh all the market excitement. I would love to win some candy bars!! My questions is: what got you interested in quilting, and were you afraid/did you even care if people would assume you must be gay?